A heart-warming logo with a sentimental story. Finders Keepers Farm is a small, therapeutic horticulture farm based on Vancouver Island. 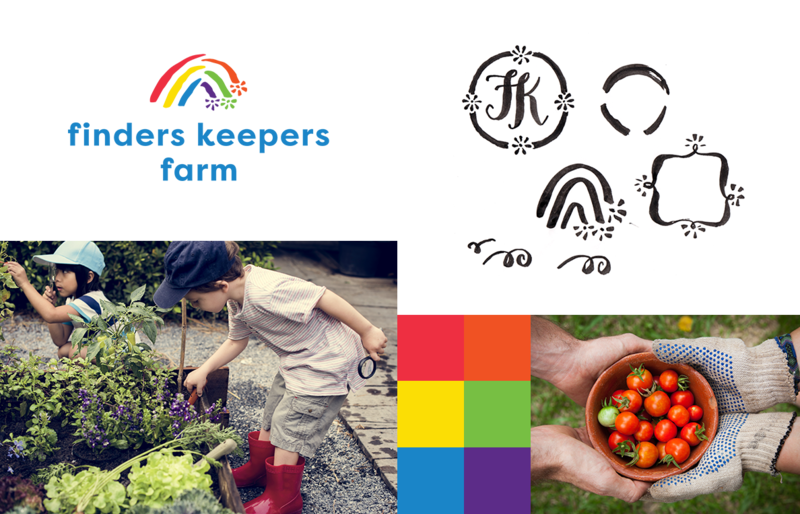 They had a logo concept from a past initiative inspired by her son – a rainbow with flowers at the end. She was hoping to incorporate this concept into a new fresh logo. Our team will get back to you ASAP about what budget a project like Finders Keepers Farm requires.